Chen Feiyu in The Forbidden Palace, someone cast him as The Last Emperor! This photoshoot of Chen Feiyu in The Forbidden Palace is not only visually stunning but gives me so much Puyi (China’s last emperor) vibes that after starring at the photos long enough, I decided Chen Feiyu could definitely pass for a better-looking Puyi. Someone hurry and make another drama or film about him while Chen Feiyu is still young. Hey Chen Kaige, here’s your chance for a great Puyi bioepic. Chen Feiyu just finished up filming for Legend of Awakening and has been seen at auditions for the Beijing Film Academy. He was also studying for the SAT’s last year, so he may also come back to the US for college. The Legends‘ two female sect leaders have their own poster and theme song to celebrate their friendship. Photos this week includes Angelababy, Cai Xukun, Liu Haoran, Wu Lei, Bai Jingting, Dilraba, Chen Wenqi, Ouyang Nana, Guan Xiaotong, Zheng Yecheng, Zhang Yunlong, Xu Kai, as well as Bai Lu X Xiao Yan for The Legends, Song Qian X Song Weilong for Love Actually, Chen Feiyu and He Landou for film With You. Chen Feiyu has bowed out of Ever Night Season 2- Wang Hedi takes over the role of Ning Que, while Song Yiren will reprise her role as Sangsang. I’m slightly obsessed with how intricate that cape collar looks. This week’s installment of new Ever Night stills. Rumor is that season 2, where the story really goes off the rails (it’s like the The Amber Spyglass vs season 1’s The Golden Compass), might switch out Chen Feiyu. If so I hope they also switch out Song Yiren because her character is supposed to be tall and chubby later on, and I can just not watch it since neither lead is in it. A series of Beijing artists, including Bai Jingting, Chen Feiyu, Wu Xiubo, Xu Qing, Yang Le and Liu Ruilin relive their childhoods in this series of photoshoots. Despite clear shortcomings, Chen Feiyu has some acting potential. 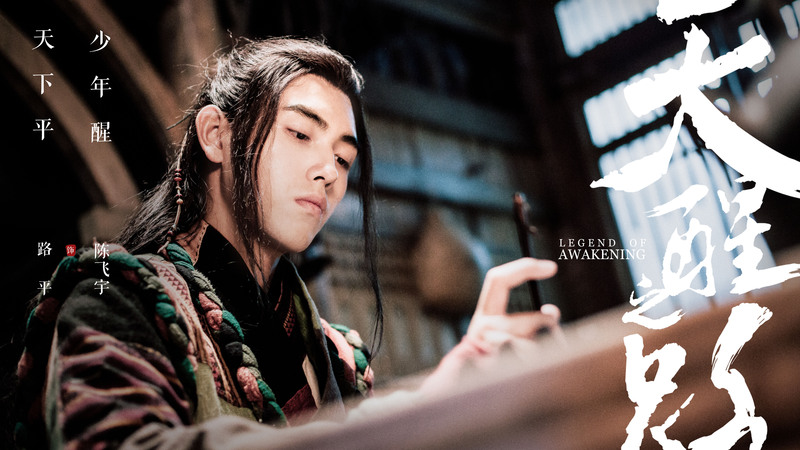 Upcoming fantasy wuxia drama Ever Night (Part 1) stars Chen Feiyu, Song Yiren, Yuan Bingyan and Meng Ziyi in the leading roles, and will release 2 episodes every Wed-Fri on Tencent and Youtube beginning tonight. VIP members get a 6 episode head start. Xianxia epic Ever Night: Dawn of the Empire 将夜：帝国的清晨. released another trailer to announce its streaming on October 31st. The new trailer seems to focus on the male lead, played Chen Feiyu, and his love interests – Song Yiren, Meng Ziyi, Yuan Bingyan, and Tong Yao. We’ve seen a string of xianxia flops, so don’t get your hopes too much despite how pretty it is. With the youngest leads yet for a major production, xianxia series Legend of Awakening 天醒之路 has recently began filming on-location in Xinjiang and Ningxia. The series stars Chen Feiyu, Deng Enxi, Xiong Ziqi, and Cheng Xiao of Cosmic Girls and seems to follow the typical xianxia mold of a group of young people journeying across a fantasy land while fighting bad guys. The series has the youngest leads yet for a major production, with Chen Feiyu born in 2000 and Deng Enxin in 2005. The previous two are currently streaming Youku series Eagles and Youngsters, with Wang Junkai (1999) and Wenqi (2003), and upcoming series The Great Lord , with Wang Yuan (2000) and Ouyang Nana (2000). Even though the female lead looks twelve and the male lead looks twenty, he was seventeen and she twenty-two when they filmed this last year. The biggest xianxia/ fantasy wuxia drama starring newcomers, Ever Night将夜, has released a full trailer. 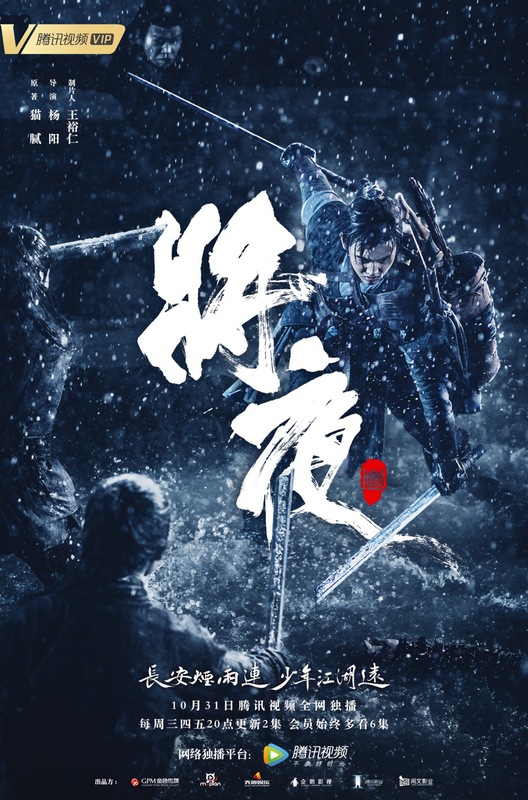 Based on the book of the same name by Maoni (Fighter of the Destiny), the series will be released in three parts, with the first one being Ever Night: Dawn of the Empire 将夜：帝国的清晨. Relatively new actors Chen Feiyu, Song Yiren, Sun Zujun, Meng Ziyi, Yuan Bingyan head the cast of seasoned actors like Hu Jun, Leo Lai, Ni Dahong, Adam Cheng, Dylan Kuo, and Tong Yao. Ning Que is a soldier who has came to the capital to clear his family. Yet when he finds out that his servant Sangsang is the embodiment of Ever Night, the foretold forever nighttime of humanity, the two go on the run. The series was shot on-location in Xinjiang, an increasingly popular filming location where you can get the desert, vast grasslands, forests, and snowy mountains all in the same location around the same time. If you ignore the whole castle at the beginning, the sets, clothing, and definitely directing/editing appear to be some of the most promising of recent xianxia dramas . The on-location scenery shots are beautiful, the cast seems to have great chemistry based on the trailer, and the romantic BGM is gorgeous.